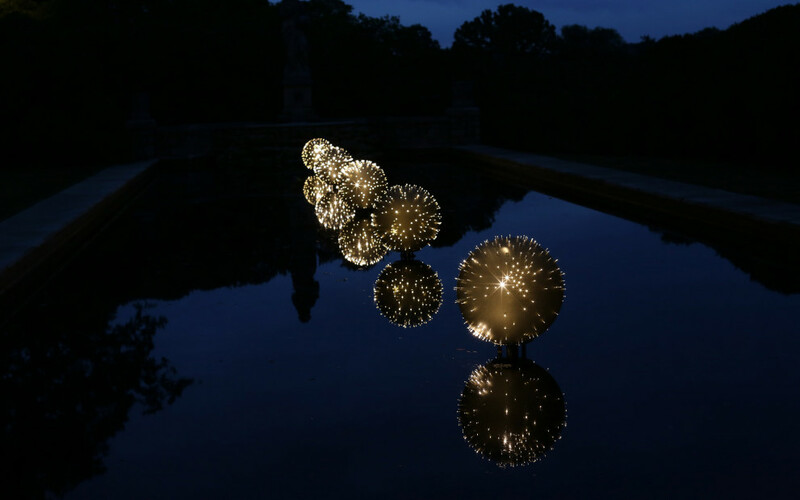 Fagin’s Urchins was created specifically for the formal Reflection Pool in the Martin Boxwood Gardens at Cheekwood. Of the creation of the piece Munro says “As often happens when I see a space, I had a very clear idea of what I wanted to create. 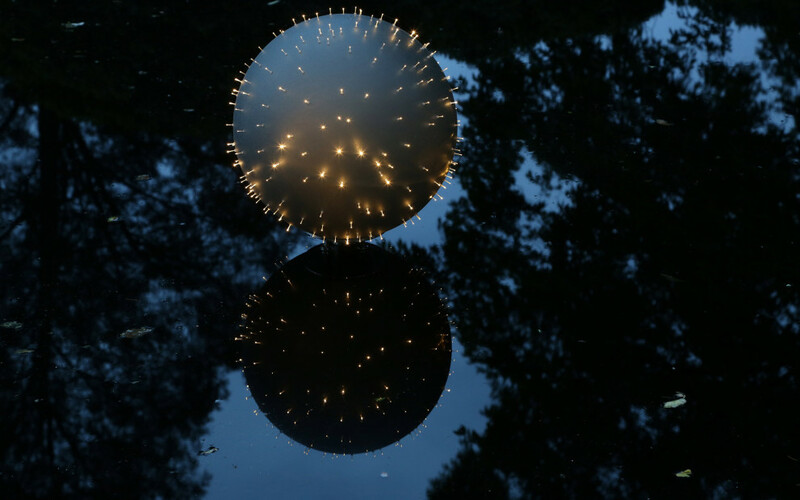 The placing of the illuminated spheres close to the waterline creates the illusion of ten Lilliputian worlds at night”. The name for this installation comes from his reading of Oliver Twist by Charles Dickens.